In recent years laminate flooring has come a long way since its early days. Due to new technologies the laminates you get today give you a very hardwearing, practical and affordable option when looking to put new flooring in your home. 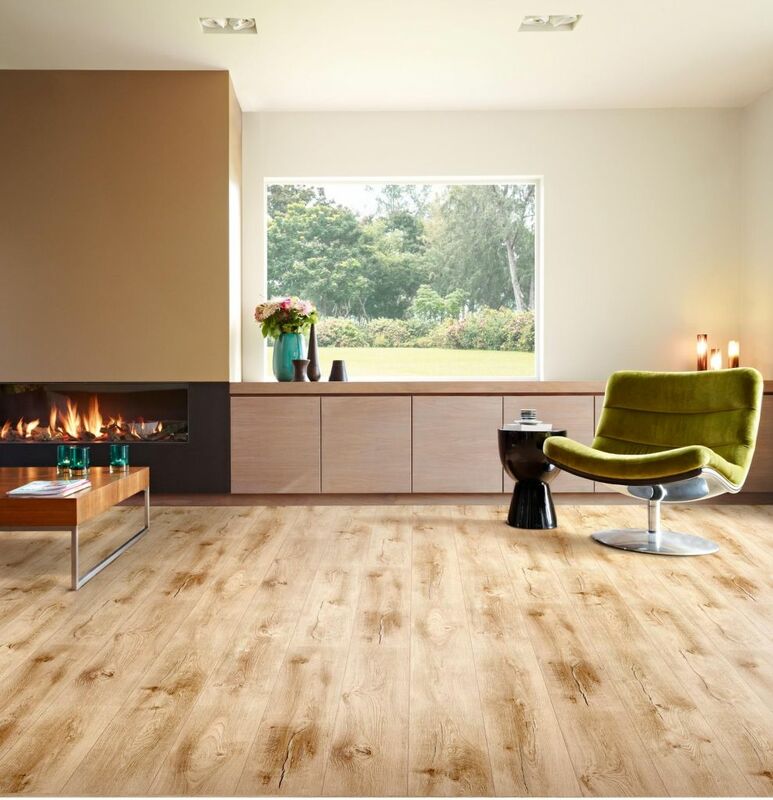 Laminate flooring ticks many boxes of what’s important to us when choosing new flooring. It’s suitable for practically every room in the house. It’s more affordable than solid and engineered wood and is easy and quick to install. Laminate is also tough and more resilient to marks and scratches than solid or engineered wood so is great for busy households with children and pets. There are so many different options for laminate flooring on the market, from your warm natural oaks to the more contemporary cool greys. There will always be something to suit your style of property. With various size planks available, the options are endless. Large, wide planks can look amazing in big spaces, whilst the shorter and narrower planks can work well in smaller areas. Laminate flooring can also be used with underfloor heating. Laminate flooring is easy to maintain with a quick sweep over and a damp cloth.